The last several years have seen a tremendous explosion in the quantity, quality and types of pen kits and related components that are available. You can literally find hundreds of different types and sizes of pen kits available from various suppliers, from inexpensive ballpoint pens, to elegant fountain pens with solid gold nibs and rhodium accents; there is something to suit every taste and budget. With so much selection, it's easy to make a custom pen that expresses your own unique style. Many of the pen styles also offer matching pencil kits, which allow you to create matched pen and pencil sets that are perfect for gifts. In last month's article, we took a look at the basic tools needed to turn writing pens. This month, we take a closer look at pen kits, platings, abrasives, pen blanks and popular pen finishes. Traditional ballpoint click pens feature a spring click mechanism that extends and retracts the writing tip by clicking the upper plunger. Click pens are easy pens to turn and assemble and offer a great introduction to pen turning. Twist pens feature a rotating transmission mechanism that extends or retracts the writing point with a slight turn of the upper barrel to the right, or left. 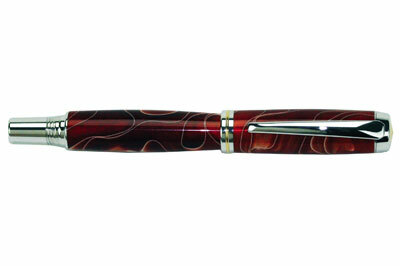 Twist pens are one of the most popular types of pens turned today. 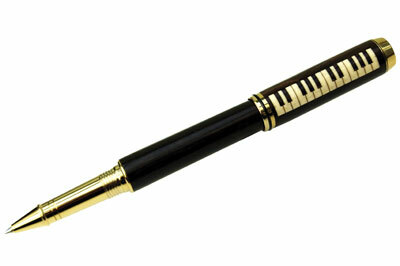 The twist mechanism is available on many different styles of pens from slimline through larger body styles. For those who do not prefer ballpoint pens for writing, rollerball kits are available in several different pen styles that use smooth flowing liquid ink. Rollerballs produce a tactile response that is close to that experienced when using a traditional fountain pen, with the ease of a larger refill reservoir. If you prefer writing in the classic style with liquid ink and elegantly styled nibs, fountain pen kits are available in various mid-level and upmarket pen kit styles. Two main types are available: those that use a pre-filled liquid ink cartridge inside the body of the pen and those that feature an ink reservoir that is filled by the user with the aid of a small suction device. Fountain pens exude a classic and refined visual elegance that is unmatched by other writing pens. Some of the most expensive pens sold today are based on fountain pen designs. 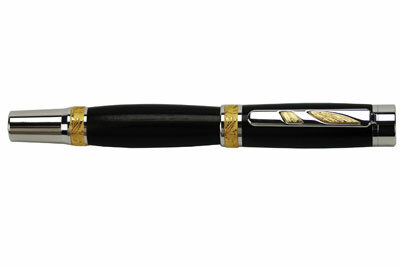 If you're looking to turn something really special, Craft Supplies USA offers a collector grade fountain pen that features a nib of solid 18k gold, with rhodium and 22k gold accents. The pen cap also features an engraved serial number, evidencing the limited number of these pens produced. If you're looking for a unique type of pen kit, why not take a look at some of the precision laser-cut speciality pen kits that are available? Several kits are available including those that create the look of a piano keyboard, a jigsaw puzzle, a waving flag, and more. There are numerous choices available when deciding what type of plating to choose for your pen kit. Beyond the obvious choice of colour, you should consider the durability of the plating, if the pen will be used regularly. The following platings are listed in order of estimated durability. Keep in mind that the thickness of platings can vary from manufacturer to manufacturer, but this can serve as a general guide when determining which plating to consider using. Rhodium is a member of the platinum family of precious metals and is one of the rarest metals used to plate writing pen components; as of this date, rhodium bullion costs $1,675 per Troy ounce on the London market. 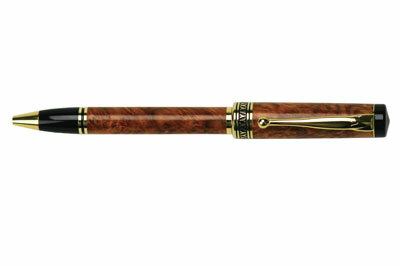 It offers supreme durability and brilliance and conveys a rich opulence to any writing pen. Rhodium offers the best resistance to corrosion and tarnish found in the platinum metals family and is highly resistant to incidental scratching as well as abrasion. 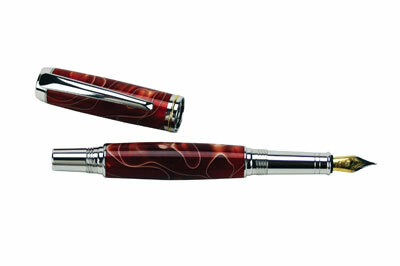 Titanium plated pens have become very popular in recent years for a number of reasons. 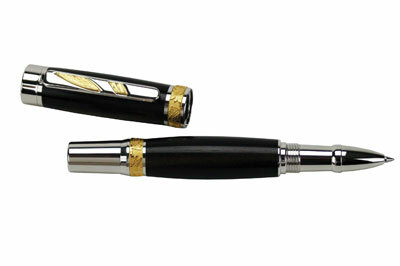 Available in both gold and black, titanium offers a less expensive alternative to pen kits plated with precious metals. As you would expect, titanium-plating offers superior wear and scratch resistance compared to traditional gold platings. Chrome plated pen kits are another option to consider if you are looking for both economy and durability in a less expensive kit. Offering a rich silver white colour, chrome plated pens are a great alternative for components that will see heavy use, such as key rings and daily use writing pens. 10k gold platings incorporate hard nickel or other alloys to increase the overall durability of the pen. 10k gold pen kits are very affordable, whilst offering a traditional gold looking finished component. Copper has a unique elegance to many people. Although copper is a soft metal naturally, the rich colour conveys visual warmth when used as a plating for pens. 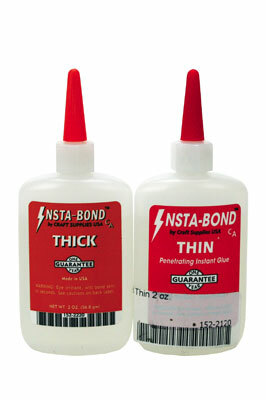 To increase the wear and tarnish resistance, Craft Supplies USA's pen kits feature a clear epoxy finish. 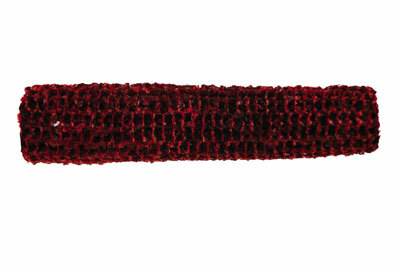 Modern dry abrasives, such as Aluminum Oxide, work very well for sanding timber pen barrels. When you are working with oily exotics, or other timbers that load the surface of your normal closed/open coat abrasives, it is best to use abrasives that feature a stearate coating. Stearated abrasives are much less prone to loading on the surface of the abrasive and can effectively sand troublesome timbers without generating excessive heat. 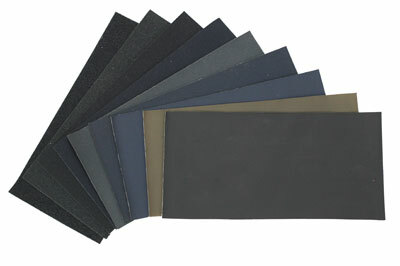 It is useful to remember when to use different types of abrasives. 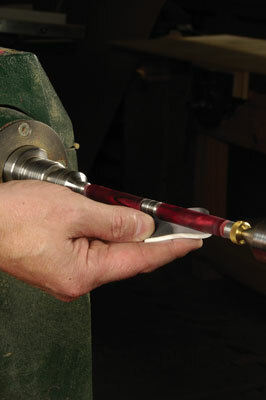 Most plastic and resin-based pen blanks require wet sanding to achieve a brilliant lustre. 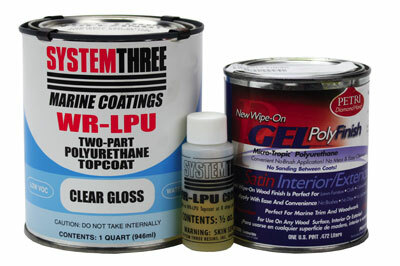 Wet sanding can also be used to perfect the surface of hard cured finishes like Cyanoacrylate, oil, or epoxy as well. 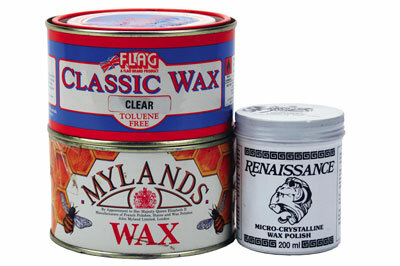 Micromesh makes a line of flexible cloth based latex faced wet and dry abrasives that are very popular with pen turners. Nine abrasive grades are available in the Micromesh range starting at 1,800 grit and proceeding through to 12,000 grit. 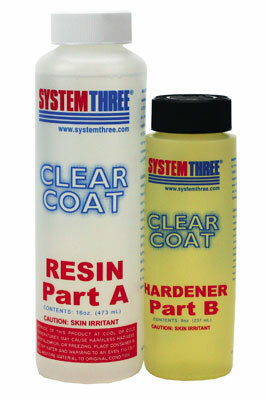 At 12,000 grit, the resulting scratch pattern is invisible to the human eye, creating a near 'wet' looking surface on plastics and other cured finishes. 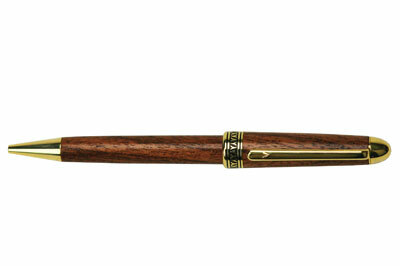 Almost any timber can be used to turn pens, but most pen turners prefer to use hardwoods. Dense exotics and burrs are popular favourites as well. High figured local timbers can also be used for pen blanks. 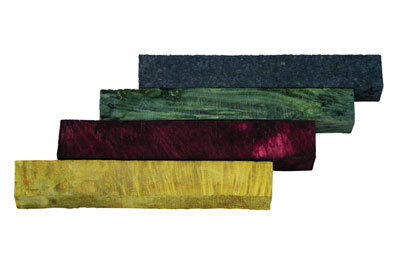 Look for timbers that feature a rich colour and a tight figure, since the completed pen barrels have small diameters. 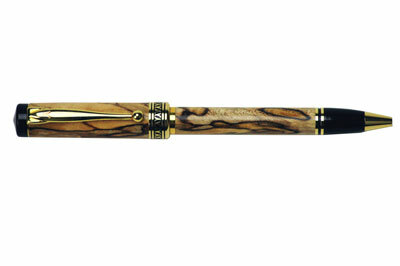 Some softwood species can also make beautiful pens, but may require stabilization treatments to harden the wood enough to produce a durable barrel surface. Woodturning suppliers offer regular and stabilised versions of many hardwoods, softwoods and spalted species as well. Stabilised blanks feature special resins or plastic compounds that have been incorporated into the blank under pressure/vacuum. 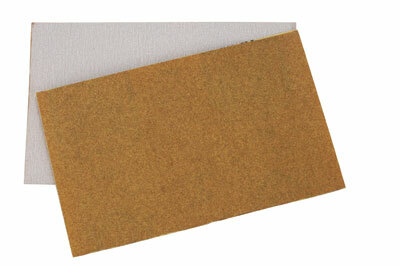 This creates a blank that looks like timber, but turns like a hard acrylic plastic. 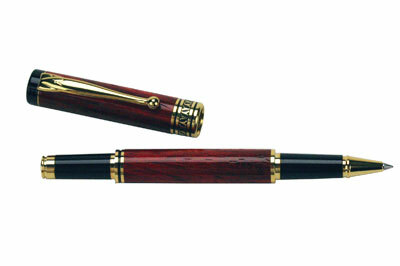 Stabilised blanks are the preferred choice for many pen turners who sell pens. 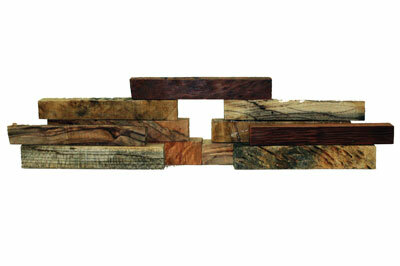 Stabilized pen blanks are available in many different timbers, including those that may be too soft in the natural state to make a durable pen barrel, like heavily spalted timbers, or other softwood species. Other types of materials are also available in stabilised versions, including things like buffalo horn, compressed sunflower seeds and corncobs. If you prefer a layered look in your pen blank, pen blanks are available that feature thin layers of dyed veneers that are compressed and stabilised. 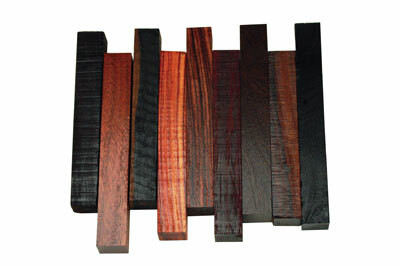 Pen blanks with multiple timbers cut on the bias - cut on an angle to the grain - are also available from most suppliers. 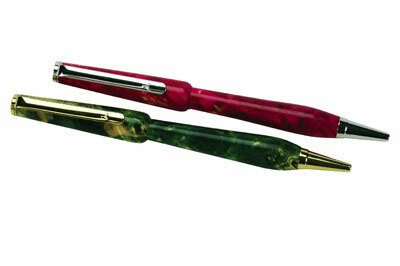 These blanks can make very dramatic pens and are a popular choice for many turners. 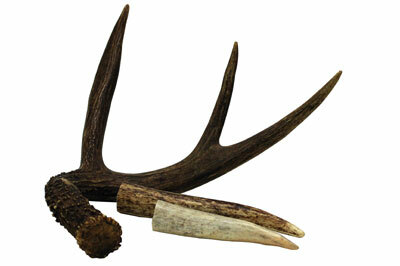 Pens turned from deer antler sheds are extremely popular. Deer antler turns easily and when highly polished, resembles granite or marble; it's an amazing material to work with and can produce a stunning writing pen. Water buffalo horn is also available in a stabilised version. 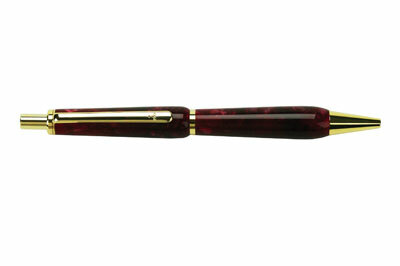 The intense black colour of this horn makes a truly elegant looking pen and is easy to turn and finish. Many different types of plastics and resin-based blanks are available, including acrylics, celluloid, cast plastics, resin impregnated stone dust, and others. 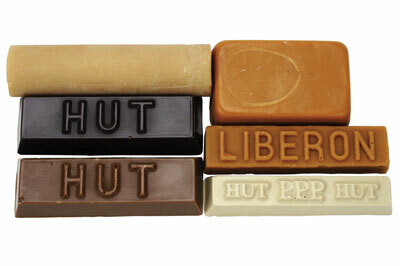 These blanks offer richly saturated colours and polish to a stunningly high lustre. If you're looking for something that's easy to turn and finish and is available in a rainbow of colours, take a look at these blanks. If you are looking for something that's a little different, how about a pen blank made from stabilised rattlesnake skin in a clear resin base? 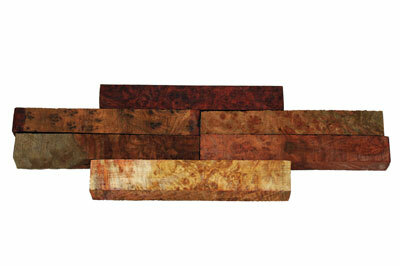 Or how about a stabilised corncob blank, or a blank made from stabilised compressed sunflower seeds, known as a Dakota burl? 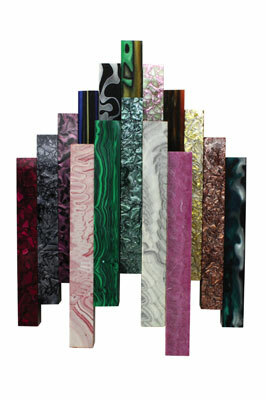 I've even seen pen blanks made from shredded currency, in a clear resin base. The sky's the limit with pen turning! 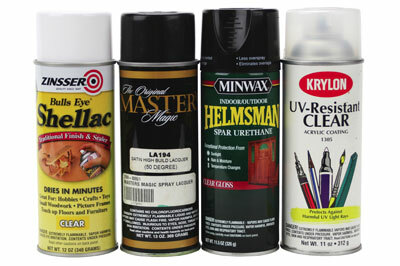 Many different types of finishes can be used on pens, including no finish at all. Unless you're selling your work, the decision of which finish to use is largely personal preference. 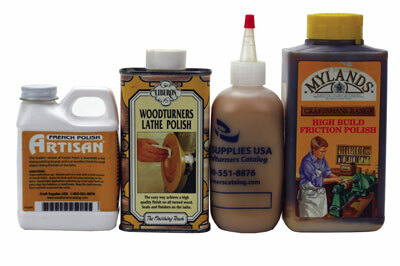 The finishes listed below are some of the more popular finishes for pens, listed in order of estimated durability when used on a writing pen that will see frequent/heavy use. A rating of (1) is the least durable; a rating of (5) has high durability and resistance to wear.